To improve appearance and function, and to prevent further damage, we may recommend a dental bridge to fill the gap. 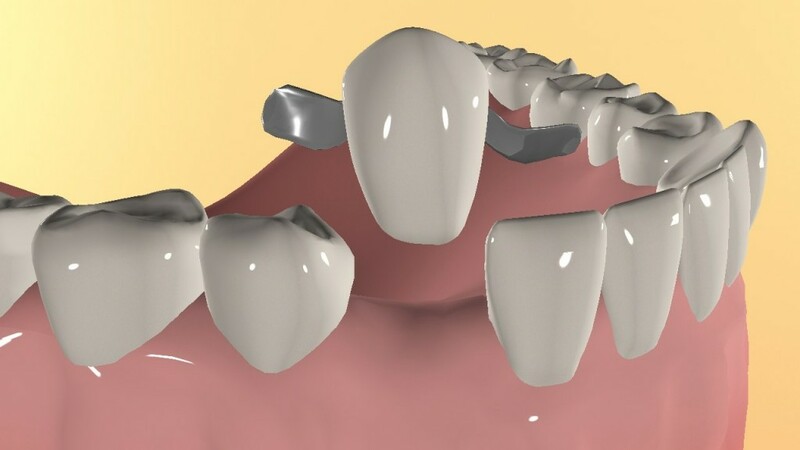 There are three types of dental bridge: fixed, resin bonded, and cantilever. The type of bridge used will depend on the quality of the teeth on either side of the gap, as well as the position of the gap. 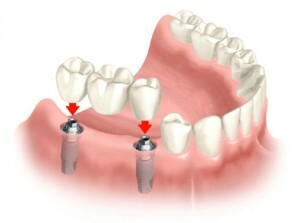 With a fixed bridge, the false tooth, or pontic, is anchored to new crowns attached to the teeth either side of the gap. 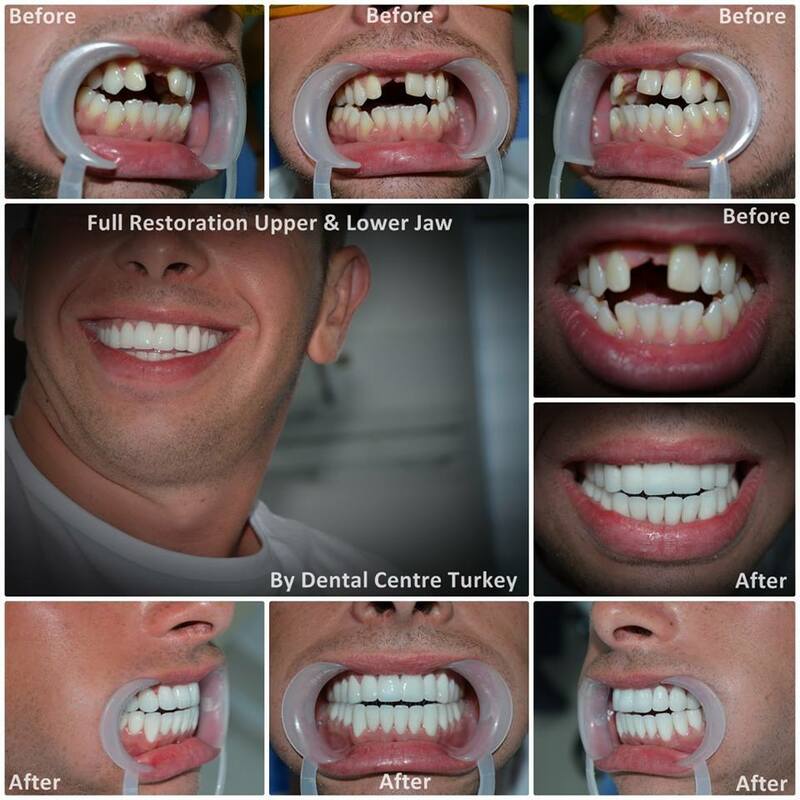 These crowns are usually made from porcelain with the new tooth made from either ceramic or porcelain. This forms a very strong bridge that can be used anywhere in the mouth. Sometimes called Maryland Bonded, these dental bridges do not involve crowning the adjacent teeth, so are useful where these show little or no previous damage. 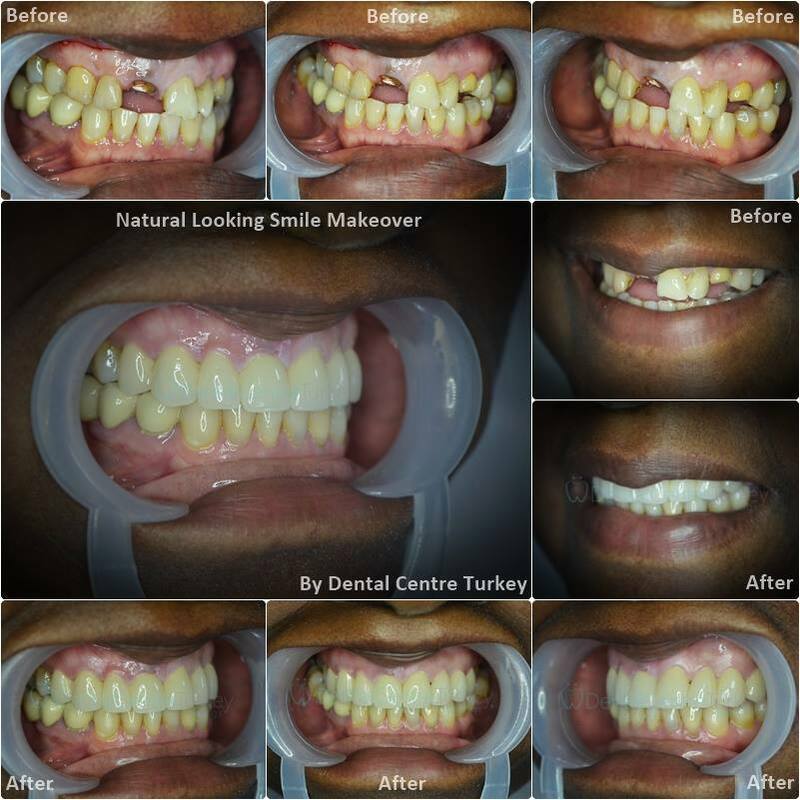 The new tooth is generally made from plastic and is attached via metal bands bonded to the adjacent teeth using resin. 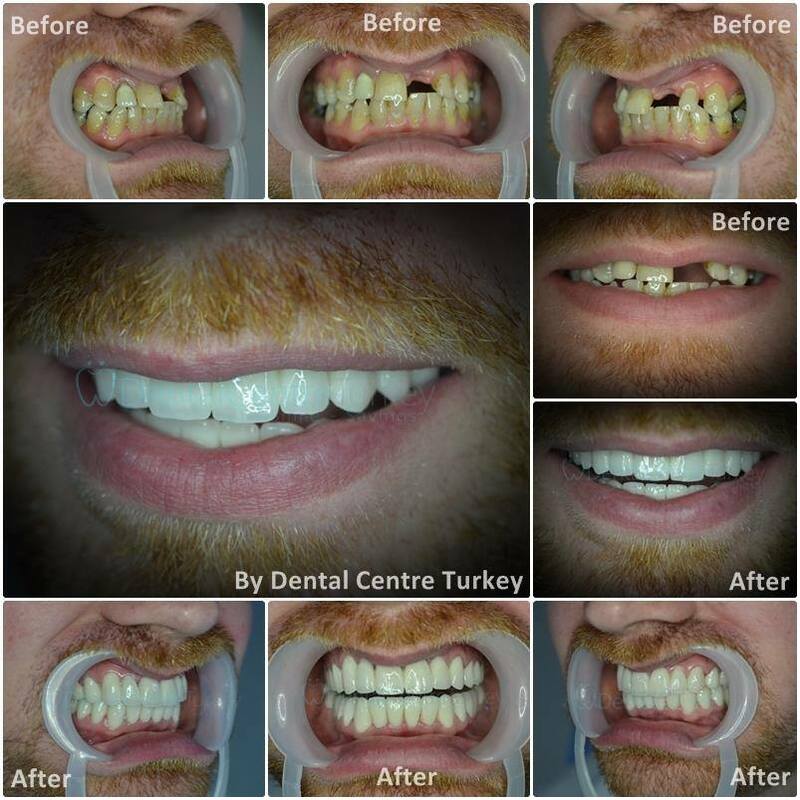 This type of bridge is particularly suitable for front teeth where stress is minimal, and the bond can be made out of view behind the teeth. These dental bridges are used where there is a healthy tooth only on one side of the gap. 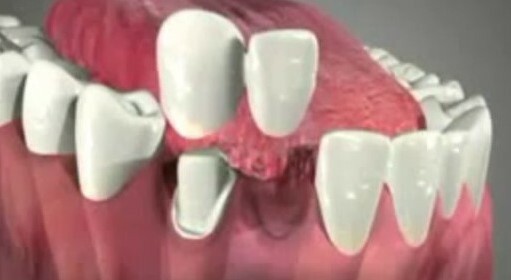 The bridge is anchored to one or more teeth on just one side. 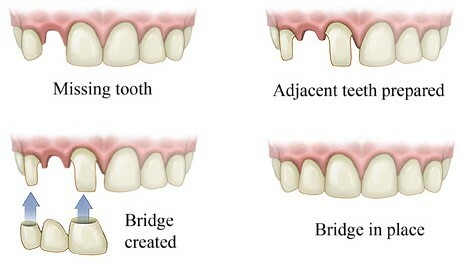 As a result, this type of bridge is generally only suitable for low stress bridges such as front teeth. 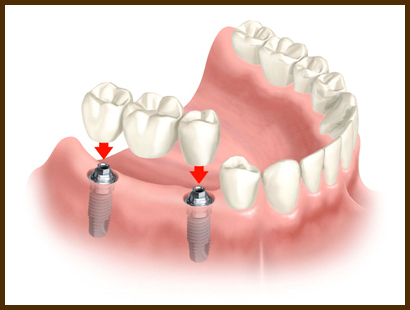 With a fixed bridge on Implants, the false tooth, or pontic, is anchored to new crowns attached to the Implant Abutments either side of the gap. 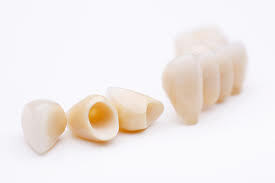 These crowns are usually made from porcelain with the new tooth made from either ceramic or porcelain. This forms a very strong bridge that can be used anywhere in the mouth.